The Ekiti State Governorship Election Petitions Tribunal on Thursday in Abuja admitted as exhibits, electoral materials used in 13 Local Government Areas and 158 polling units for the July 14, governorship elections. The materials were tendered by Prof. Olusola Kolapo, the Peoples Democratic Party (PDP) governorship candidate at the elections, through their counsel, Mr Yusuf Ali (SAN), as part of evidence to prosecute their case. Meanwhile, Ali also tendered proof of payment for the certification of all the electoral materials tendered so far by the petitioners. He had on Thursday last week promised to bring the proof of payment following the objection raised by the respondents lawyers on non payment for certification as required by law. 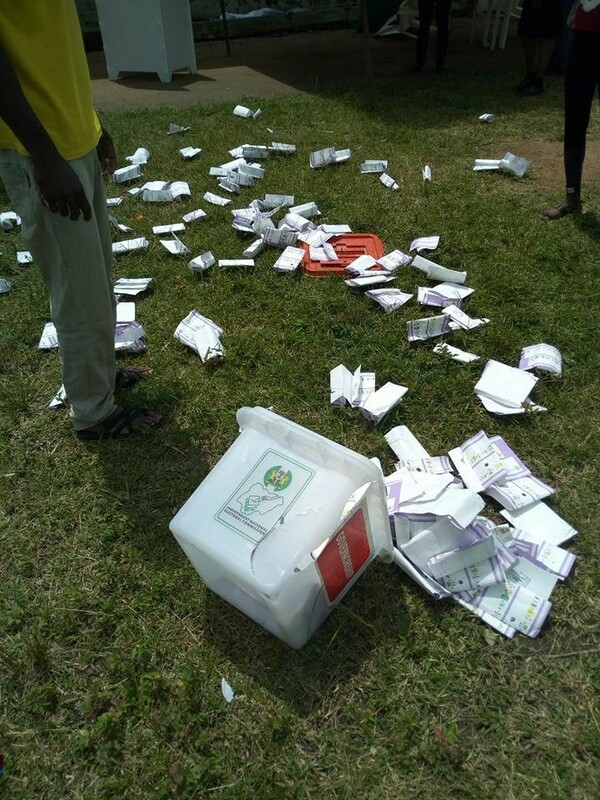 The counsel tendered the original copy of a letter written by INEC to the PDP Legal Adviser, Sunday Olowolafe, stating the cost of certification, a copy of teller for the payment of N837,288 for the certification and a receipt issued by INEC for the payment. Permanent voters registers (PVR) used during the election from about 13 local government were tendered as exhibits. Permanent Voter Registers from Ekiti East(16), Ekiti West (6), Ekiti Southwest(11 ), Emure (33), Oye(16),Moba(26)and Gbonyin (12), were tendered and admitted as exhibits. Also tendered and admitted were the permanent voters’ registers for Ido Osi (4), Ijero (3), Ikere (2), Irepodun Ifeladun (18) and Ilejemeje (3) Ise-orun(8). The defence team, however, still objected to the admissibility of the documents, stating that they were not pleaded and that some of the wards mentioned were not in contention. The petitioners joined Independent National Electoral Commission (INEC) as a nominal respondent. The case was adjourned until Friday, Oct. 26, for continuation of hearing.